Photo courtesy of Kathleen Berger. Composer, violinist, and violist Mark Berger, and Ketty Nez joined forces in the spring of 2009 for a series of concerts mixing the new with the established, including their own music and Boston University faculty Richard Cornell's commissioned Scherzo. 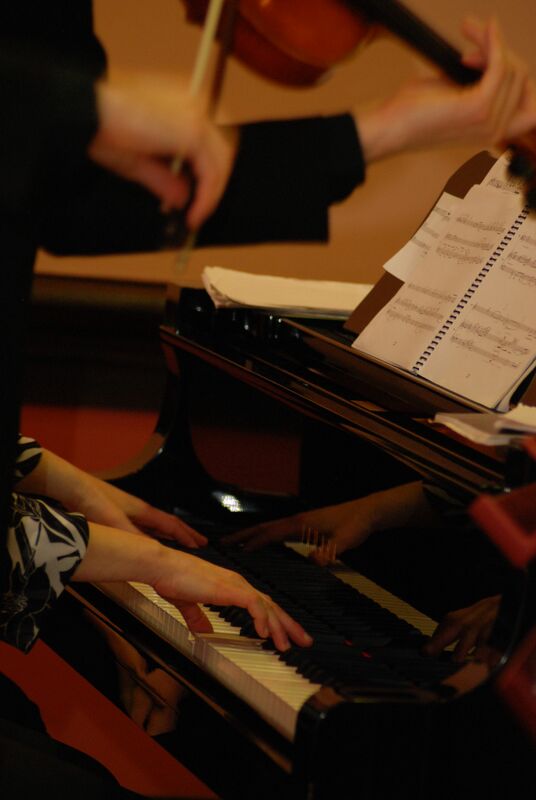 Recent projects in 2010 included premieres of Ketty's transit out and commissions by John Aylward and Matthew Malsky; performances and masterclasses at BU, University of Massachusetts Lowell, and Massachusetts Institute of Technology, including MIT faculty Peter Child's Sonata; and a residency at Clark University working with student and faculty composers.